Random House Trade Paperbacks, 9780375758683, 336pp. Fresh out of college and passionate about photography, Deborah Copaken Kogan moved to Paris in 1988 and began knocking on photo agency doors, begging to be given a photojournalism assignment. Within weeks she was on the back of a truck in Afghanistan, the only woman—and the only journalist—in a convoy of mujahideen, the rebel “freedom fighters” at the time. 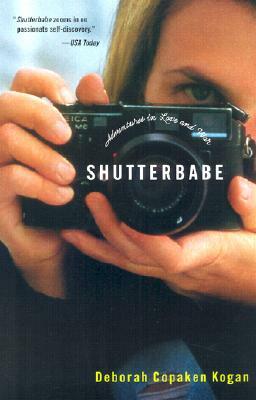 She had traveled there with a handsome but dangerously unpredictable Frenchman, and the interwoven stories of their relationship and the assignment set the pace for Shutterbabe’s six chapters, each covering a different corner of the globe, each linked to a man in Kogan’s life at the time. Deborah Copaken Kogan worked as a photojournalist from 1988 to 1992, and her photographs appeared in Time, Newsweek, The New York Times, L'Express, Liberation, and Géo, among many other international newspapers and magazines. She spent the next six years in TV journalism, most recently as a producer for Dateline NBC. She lives in New York with her husband and two children.